Soulfest Asia, the region’s hottest neo-soul, funk, hip-hop and R&B music festival turned up the heat tonight with Omarian set to hit Kuala Lumpur on 17 October 2015, West-coast style! This hip-hop heavyweight will join an already star studded line-up featuring the Queen of Hip-Hop and urban music, Mary J. Blige and Grammy nominated Jhene Aiko, as well as Hip-Hop favourites Talib Kweli and De La Soul, Joe Flizzow and his entire Kartel family, soul singer Najwa and hip hop collective De Fam live on stage. Soulfest Asia will also feature regional superstars such as Singapore’s hugely in demand rapper, Shigga Shay, Indonesian sensation Raisa and Thai supergroup, Thaitanium. LOL Events will also share in the celebration of soul through a comedy room called LOL@Soulfest. Headlining the comedy sessions here will be Gina Yashere - one of the best female stand up comedians, and Jim Brewsky - eminently likeable, criminally charming and fearlessly hilarious. They will be joined on stage by Fakkah Fuzz - a rising star in the comedy scene for the South East Asian Region, Prakash Daniel - the livewire of any party, who will also be hosting the comedy sessions, and Rizal Van Geyzel - a natural performer who stands out in the comedy scene. “We’re very excited about the line-up that we’ve put together for Soulfest Asia 2015. The amazing breadth and depth of talent that we have brought together at Soulfest Asia, be it music or comedy, accurately embodies the essence of what the festival is all about – passion,” said Adib Khalid of Soulnation Asia. Staying true to its promise to be more than just a music festival, Soulfest Asia will be supporting the Women’s Aid Organisation’s public education campaign, aimed at raising awareness for the gravity of domestic violence and the need for public support. A ceramic art exhibition entitled “Can You Keep A Secret?” featuring twelve ceramic life-sized head sculptures designed by artist James Seet will be on display, representing the various accounts of domestic violence survivors. As the official transport app partner for SoulFest 2015, GrabCar will be providing complimentary transport solutions for the ‘Soul Sisters’ package in support of WAO. “We will be donating a percentage of the proceeds from each ‘Soul Sisters’ package to the Women’s Aid Organisation (WAO) in Malaysia, a non-profit organisation that is very close to our hearts. We are extremely humbled to be able to play a part in supporting the WAO and hope all our ‘Soul Sisters’ out there will join us in our efforts for this very worthy cause,” said Leshanth Raja Singam from Soulnation Asia. Soulfest Asia 2015 is presented by AirAsia BIG, brought to you by Brickfields Asia College, and supported by the Ministry of Tourism and Culture (Malaysia). “We are excited that Soulfest Asia will be part of the ‘Endless Celebrations’ for Malaysia’s Year of Festivals 2015. We would like to extend our heartfelt gratitude to Malaysia Major Events and Tourism Malaysia for the invaluable support in helping us to make Soulfest Asia one of the most talked about music festivals in the region,” said Tengku Azran from Soulnation Asia. AirAsia BIG Loyalty Programme (AirAsia BIG) will be offering AirAsia BIG Members and Soulfest goers a chance to earn BIG Points with the purchase of tickets, food and drinks; which can be exchanged for free fllights and hotel stays. Every general admission ticket earns 500 BIG Points, a premium ticket earns 800 BIG Points and a VIP tickets earns 1,300 BIG Points. There are also up to 16,000,000 BIG Points up for grabs! “As a regional loyalty programme, AirAsia BIG's partnership with Soulfest 2015 is a perfectly befitting one. Both brands aim to unite worlds and cultures - one through a coalition loyalty programme, and the other through music; and this collaboration will work to promote some of Asia’s best music artists alongside other international acts. This is our first time collaborating with a music festival as we want to actively be a part of our community,” said Carmen Wong, Chief Commercial Officer, AirAsia BIG. Brickfields Asia College, sponsor of the recent MTV World Stage which attracted 20,000 music lovers, continues to be a part of the biggest musical events happening right here in Malaysia through its involvement at Soulfest Asia 2015. As Asia’s hottest music festival, Soulfest Asia 2015 has also partnered with some of the region’s hottest brands – official hotel partner, Le Méridien Kuala Lumpur; official transport provider GrabCar; official magazine, Time Out KL and official entertainment channel, E! Tickets priced from RM198 are available online at www.soulfestasia.com. Jim Brewsky is a one of Asia's newest and biggest names in comedy. Based in Hong Kong, Brewsky is an international headliner, having triumphed as the WINNER of the 2015 Magners International Comedy Festival and the 2014 Hong Kong International Comedy Competition. 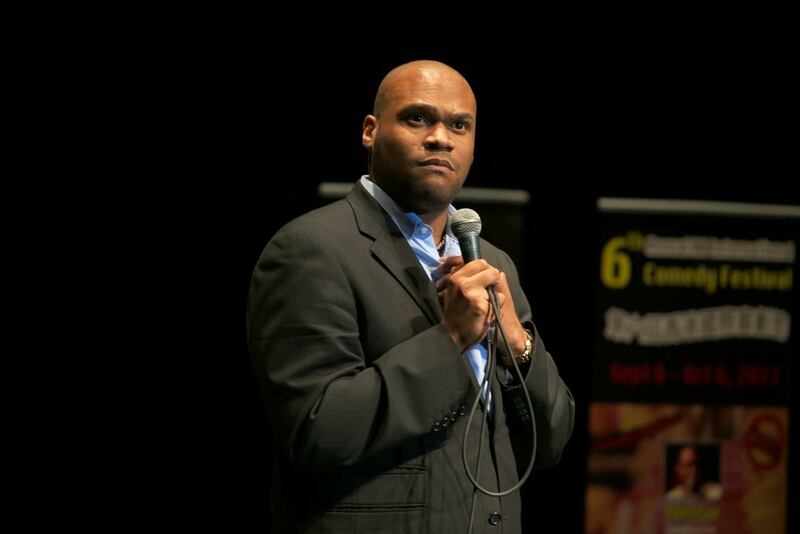 He has performed all over the world at various venues including GOTHAM COMEDY CLUB NEW YORK, ACME COMEDY CO., THE LAUGH FACTORY HOLLYWOOD, COMEDY MASALA SINGAPORE, and MGM MACAU with top acts such as George Wallace, Tom Cotter, Mike E. Winfield, Paul Ogata, Brad Upton and Gina Yashere among others. Brewsky's comedic delivery style combines a good-natured stage presence with a healthy dose of self-deprecation. One look at Prakash Daniel and the following description comes to mind: loud, quirky, chirpy hipster. 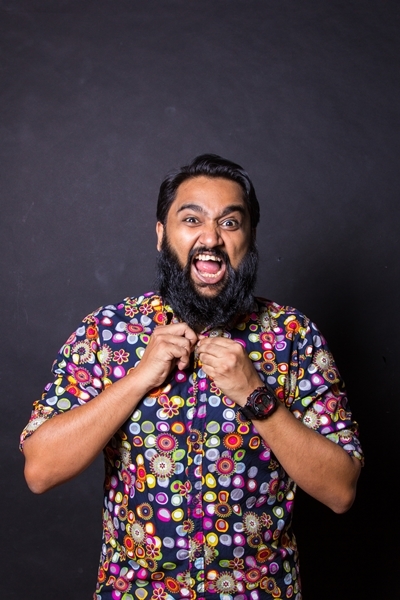 When he isn’t pursuing his passion as a photographer and managing his portfolio of men with beards called ‘Beards Of Malaysia’ on Instagram and Facebook, Prakash dabbles with comedy on stage as well as features in comedy sketches on YouTube. His witty puns on everyday observations naturally have audiences curling up with laughter. Ever the livewire of the party, he believes in keeping the jokes simple, easy and relate-able. Gina is a veteran in the stand comedy industry, having performed across the globe multiple times since 1997. Originally from the UK, she broke onto the American comedy scene with her appearances on Last Comic Standing (NBC), where she made it to the final 10. 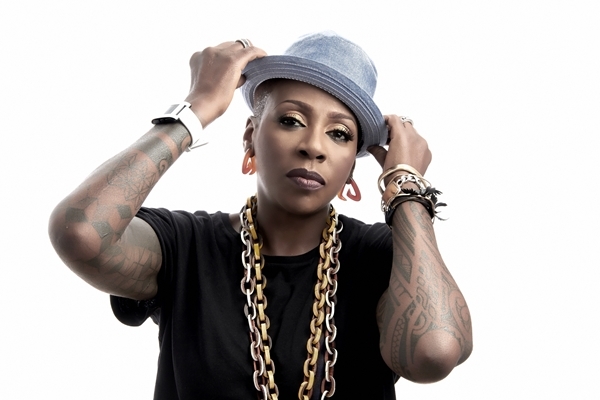 Gina Yashere’s sellout live appearances are legendary. Her bombastic delivery, infectious personality and cheeky observations have wowed audiences across the globe. Rizal van Geyzel is widely known for his comedic presence that lands somewhere between the profound and the absurd. His journey in the comedy scene began at the age of 20 where he opened for Harith Iskander and Malaysian theatre actor, director and producer Jit Murad. 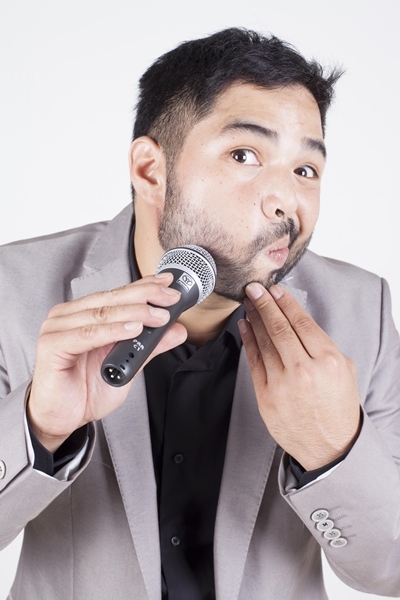 Less than 20 years down the road, he has been praised by Malaysian comedy king Harith Iskander as "the future of Malaysian stand-up comedy" as his special brand of humour touches – with gentle and sometimes not-so-gentle jabs - on personal topics as well as observations on Malaysian life. He is one of the fastest rising comedians in the local industry currently. He is a multi-talented performer who also dabbles in the world of music and acting. Having actively participated in open mic and stand-up comedy shows for almost 5 years, he has headlined and championed multiple comedy shows in the Asian circuit. Fuzz was recently crowned one of the Top 10 Comedians of Asia by Top10 Asia magazine and has received many positive reviews from media both in Malaysia and Singapore.